I was just a young engineer in an automotive company 10 years ago when I stumbled upon a network marketing business in 2003 that pretty much changed my entire life! Little did I know, what started as just an online purchase and occasional casual word-of-mouth, turned my ambition of an IR (a title given to Professional Engineers) into an Independent Representative (IR) of a network marketing business! Armed with a strong belief, I decided to pursue this career full-time leaving my ‘job’ behind in early 2005. The rest, as they said, is history. Not only did I start to earn ‘good’ weekly income but the network marketing business has brought me to places I have never dreamt of going, meeting people from all walks of life! The most memorable of my many business trips was when I met the love of my life, Angie. 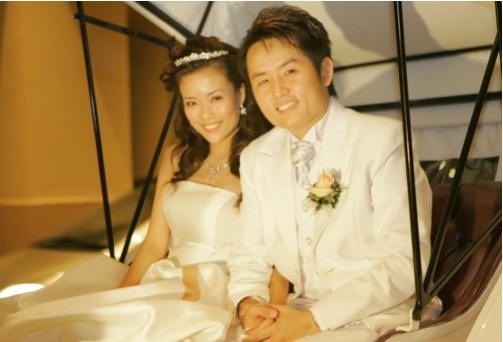 In 2007, we decided to get married. We were able to afford an extravagant “fairytale” garden wedding. We even surprised the crowd with a magical entrance in a horse carriage with elaborate fireworks display. It was indeed a dream come true for both of us. Today, we are soul mates and my journey would mean nothing without Angie. Being ‘unemployable’ and walking the path of “uncommon freedom” is truly enjoyable and the envy of many of my peers. This was all possible with the network marketing business I discovered by accident and the uncommon freedom I truly believed in. I welcome you to join me in the whole new world ahead. I was there and the fire works display was just awesome. It could be seen from miles away! Alan and Angie is the greatest leader whom I met so far and they had changed my life from nobody to somebody.Thanks a lot, Dear Brother n Sister!